As summer nears its end, the honey bees are hungry. That's why Extension apiculturist Eric Mussen of the UC Davis Department of Entomology and Nematology advocates that we plant flowers for late summer and fall to help the bees. Often we think of spring as the season for planting bee plants, but mid- to late summer and fall is when they really need our help. Malnutrition is one of the factors suspected in colony collapse disorder (CCD), the mysterious malardy in which adult bees abandon the hive, leaving behind the queen bee, immature brood and food stores. Other factors in the declining bee population include pesticides, pests, diseases and stress. 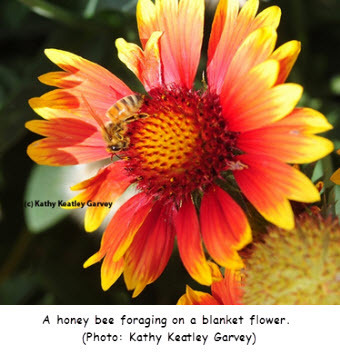 If you look around, you'll see bees foraging in Northern California on blanket flower(Gaillardia), sedum (family Crassulaceae) and late-blooming towers of jewels (Echium wildpretii). And the lavenders, salvias (sages) and the mints. 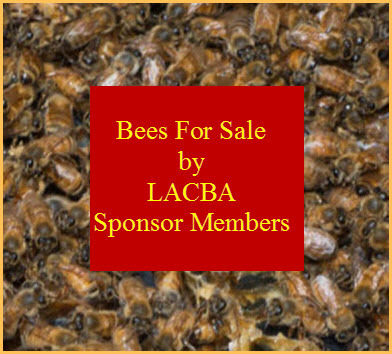 Coming soon: the Neal Williams lab at the University of California, Davis, is compiling a list of bee plants that will be posted on the Harry H. Laidlaw Jr. Honey Bee Research Facility. Current resources? The Xerces Society for Invertebrate Conservation features plant lists on its site. 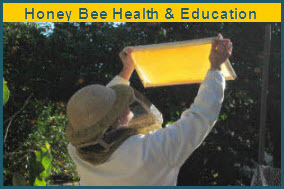 The UC Berkeley Urban Bee Lab maintains a wealth of information about plants and pollinators on its site. There's even a Bee Smart app, offered free by the Pollinator Partnership, that will enable you to browse through about 1000 native plants. Some of my favorite honey bee plants: the lavenders, the salvias, sunflowers, catmint, sedum, blanket flowers, oregano, artichoke, zinnias, cosmos, borage, bush germander, buckwheat, basil, ceanothus, coneflowers, seaside daisies, red hot poker, and of course, the tower of jewels, which, in height, towers over them all.